Average Americans save 3 to 4 percent of their income, but bumping that up just a little could go a long way in helping to reach long-term goals. A 2015 ?America Saves? poll by Fidelity Investments found that many people underestimate the value of saving an extra $50 per month over 25 years. Fidelity said that money could grow to more than $40,000 because of compound interest and potential market growth. Here are five strategies to build your savings in little ways. Many people think they will save more once they make more money. But the best way to save is to start early and get in the habit of saving. ?The key thing, particularly for young people, is that making even a little progress toward saving money today can make a significant difference 35 years from now,? said John Sweeney, executive vice president of retirement and investing strategies at Fidelity Investments. If you don?t have extra cash left over once all the bills are paid, track your spending to find areas where you can cut spending. Then, put that money to work in a savings account. Setting aside a small, incremental amount of your earnings will help you slowly build savings. If you?re among the Americans saving 3 to 4 percent of their income, bump it up to 4 or 5 percent. Once you have that down, increase it another percentage point, and so on. Another way to do that is to trick yourself by budgeting less than what you really earn. ?If you?ve recently started your first job, it?s a great idea to budget as if you?re earning just 85 cents on the dollar and put away the rest,? Sweeney said. 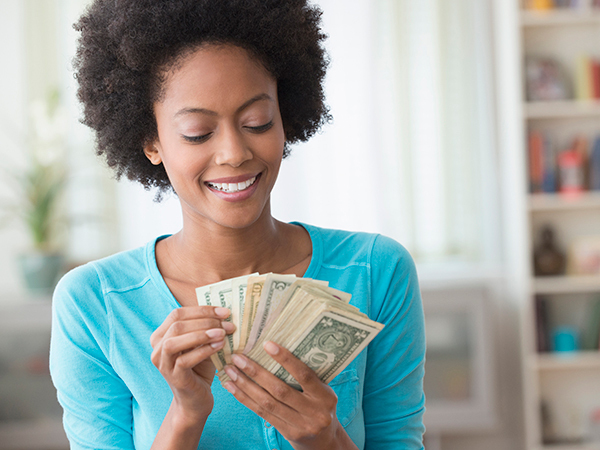 Every time you spend a little less, make sure you put that extra money into your savings account. One of the smartest things you can do is have part of your paycheck automatically deducted and deposited in a savings account, or set up a regular transfer of funds. Setting up a direct deposit can help your money get to the right account without your having the opportunity to spend it. Compare rates on savings accounts to find the best deal. If your employer offers a 401(k) or a similar plan and matches contributions, be sure to contribute up to the full employee match. Otherwise, you?re leaving money on the table, said Sacha Millstone, a wealth manager at Raymond James & Associates. For most young people, a Roth IRA or Roth 401(k) makes the most sense for retirement savings because the money will never be taxed again after being placed in the account. ?Even if you don?t have a company-sponsored retirement account, you can open your own IRA,? Millstone said. ?One key element to the equation in retirement savings is how you allocate your investments,? Sweeney said. ?You need to assume some risk and exposure to stocks in order to grow your savings. For young people, 90 percent of their money should be in stocks, but when you?re closer to 65, you should allocate more of your money to fixed-income investments.? Banks across the country often offer generous bonuses just for signing up for an account and meeting certain requirements. These bonuses could provide an alternative to those meager rates offered on many savings accounts and CDs.